PrimeLine Products have now partnered up with Picote to provide a wide range of top-notch solutions for pipe repairs and pipe rehabilitation projects. Introducing the newest resin lining solution that’s made to be intuitive, easily applicable and easy to handle. This breakthrough product can now be used by manufacturers on all levels. With the Picote Coating System, contractors can now complete several pipe lining processes in just one day, improving overall productivity and lowering business expenses. 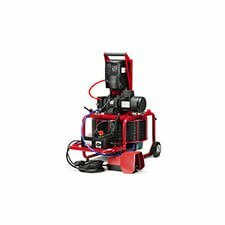 The Picote Coating System is a quick, simple and practical pipe coating system that’s mainly used for repairing sewer and important drain lines. Coat either lined or unlined pipes with diameters ranging from 1 1/4″ to 6″ using the Mini Miller and Picote Coating Pump combination. The lining process using the Picote Coating System is unique in that the resin isn’t applied via spraying, but by brushing. The vegetable-based oil resin has been proven to adhere to all types of piping material, including clay, concrete, cast iron and PVC. This combination system works best when working with clay, concrete, PVC or cast iron pipes, depending on the resin. The minimum allowable pipe length and diameter should be at least 1 1/4″ for patch and repair, while the maximum allowable pipe length and diameter should be 32 ft. and 8″, respectively. Installation. Everything starts off with a good brush coating. Brush sizes are available depending on the sewer or drain pipe diameter. Cleaning and Preparation. High-quality chains are utilized if you’ll be working with concrete or cast iron drains. The pipes are thoroughly cleaned and flushed with water. Q: What should be the wall’s final thickness? A: It depends on the pipe diameter, but it should be at around 1/8″, or 2 to 4mm. Q: Will the pipe lining process work even when the pipes are wet? A: The type of resin is a significant factor. Contact your manufacturer for the best answer. Q: How long will the pipe be out of service? A: The pipes will be dry to the touch within 3 to 12 hours. Left alone, it can develop to final hardness in 7 days. Cure time may vary, but the usual restoration of service is done after 12 to 24 hours. Q: Can I apply multiple coatings? A: 2 or more coating may be required, depending on the pipe’s diameter. The second coating should follow only after 2 to 16 hours, depending on ambient temperature. The use of heat is required when coating external pipes in cold weather. All Picote pipe tools are made to be practical, economical and easy to use. The Picote Coating System is mainly used to coat pipes, but it can also be utilized to degrease pipe lines that are clogged with the build-up of fatty deposits. Pump degreasing machine through the Picote machine in line with the Original Chain and the Miller cable. 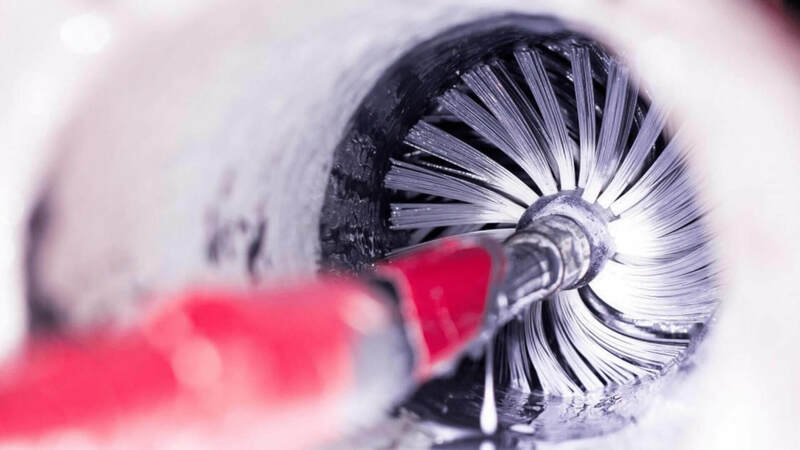 Allow the fatty build-up to break down, then brush the excess using a water flush to restore the pipe to working order.